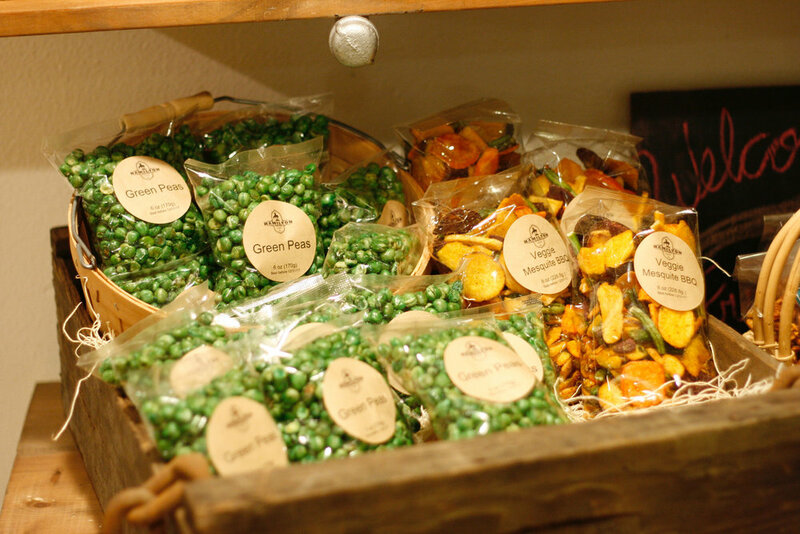 Roasted Nuts, dried fruits & more! 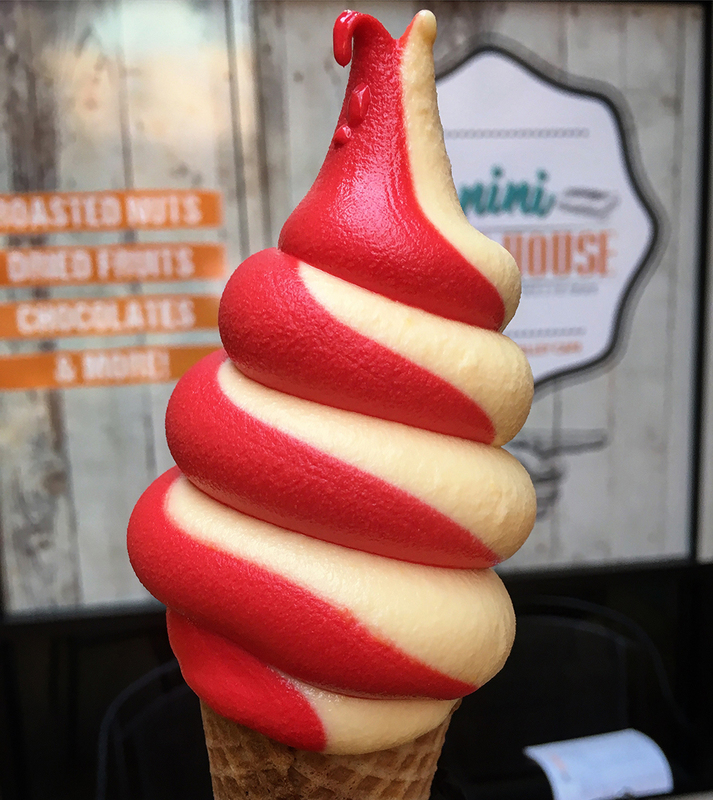 The Panini Nut House is a purveyor of unique fresh sandwiches, ice cream, soups and more. We love people and truly care if they have a good experience in our café. 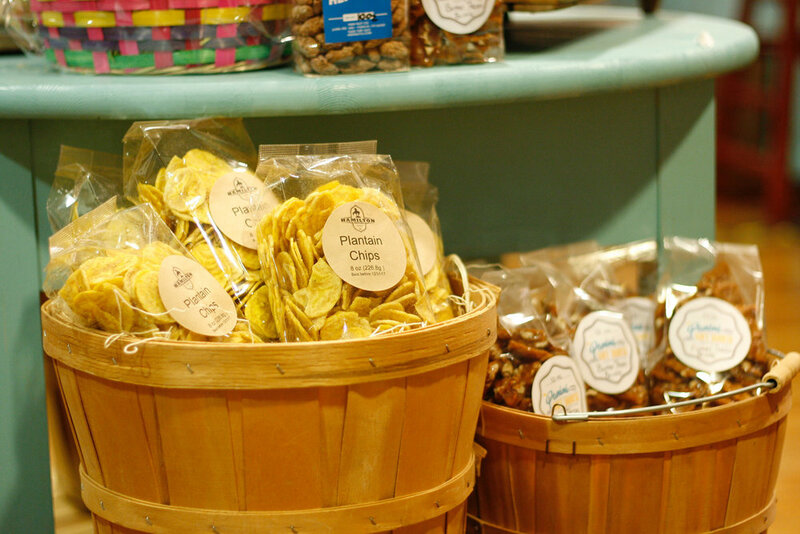 The owners of the café features a unique combination of fresh Sandwiches, Ice Cream, Soups, Smoothies, Bread Pudding as well as Dried Fruit, Nuts, Baked Veggies, local honey, chocolates, gift baskets, and so much more! 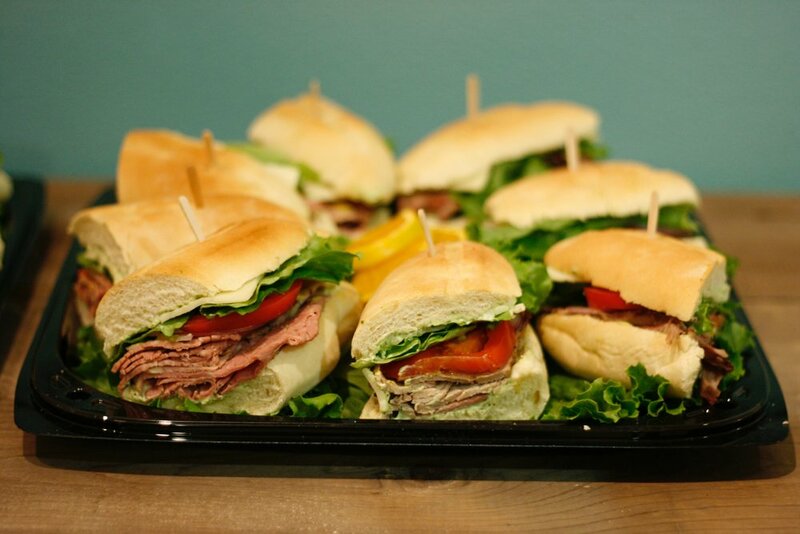 Fresh Gourmet sandwiches made with only the finest ingredients. From the freshly baked bread made in-house to the best tri-tip, non-processed all natural turkey & ham without nitrates, lean pastrami and local fresh vegetables. Fresh Salads made with locally grown romaine lettuce, tomatoes, cucumbers and several dressing options including the popular House dressing, the owner’s mother’s recipe. Start your creation with 2 eggs, bacon or sasage, your choice of cheese: Jack, pepper jack, cheddar, gouda. Choice of sauce: Chipotle, salsa, basil pesto. Sky's the limit on your creation. All pressed on panini bread. Country potatoes, 2 scrambled eggs, sharp cheddar cheese, Choice of sauce: Chipotle, salsa, pesto. 4.99 Add Sausage or bacon for only 2.00 more! Extra meats, veggies and cheese available at an additional charge. 10 am - 5 pm • Mon. - Fri. • 11 am - 3 pm Sat. Fresh mozzarella, pesto, tomato, garlic, house balsamic dressing pressed on panini bread. Grilled eggplant, fresh roasted garlic spread, fresh mozzarella cheese, parmesan cheese, fire roasted sweet red bell peppers, Italian herb sauce & basil pesto. Pressed to comfort food perfection..
Cheddar & jack cheese, loaded with bacon, house chipotle aoli on panini bread, pressed to a cheesy perfection. Salami, black forest ham, pepperoni, fresh mozzarella, jack cheese, olive oil, black pepper, peperoncino, red onions & tomatoes. All pressed on our panini bread. Thick cut black forest ham, turkey, monterey jack cheese, spicy mustard, berry jam pressed on panini bread. Fresh sliced grilled chicken, bacon, tomato, cheddar cheese & house chipotle aoli pressed on panini bread. 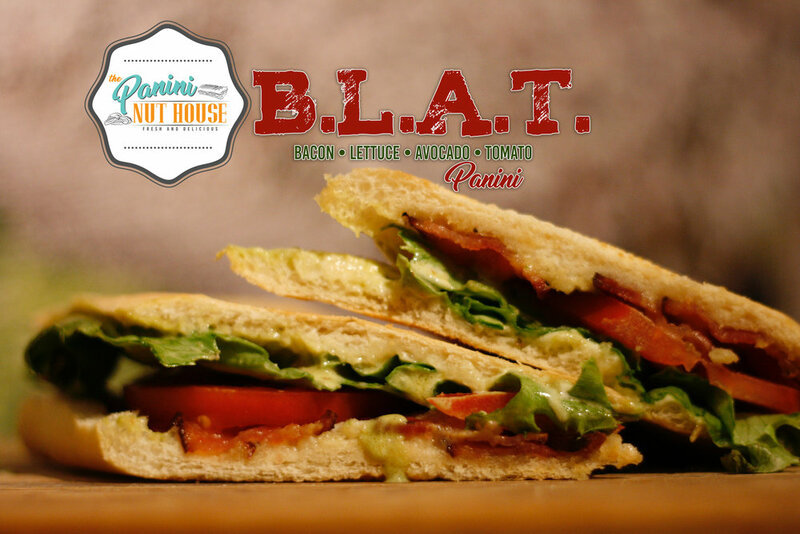 Classic bacon, lettuce, avocado spread, tomato with house herb aoli pressed on panini bread. Fresh mozzarella, cheddar cheese, roasted garlic spread, sliced pepperoni & sauce with Italian herbs. All pressed to cheesy perfection on our panini bread. Sliced grilled chicken breast, bacon, cheddar cheese, jalapeno cream cheese spread & chopped jalapenos. All pressed on panini bread. House creamy pesto, spicy brown mustard, lettuce, tomato, red onion, monterey jack cheese on our fresh baked bread. House creamy pesto, spicy brown mustard, eggplant, lettuce, tomato, red onion, monterey jack cheese on our fresh baked bread. (5) 1/2 OVC sandwiches (Turkey / Ham / Pastrami / Tri-Tip / Veggie) each with our house creamy pesto, spicy brown mustard, lettuce, tomato, red onion, monterey jack cheese on our fresh baked bread. 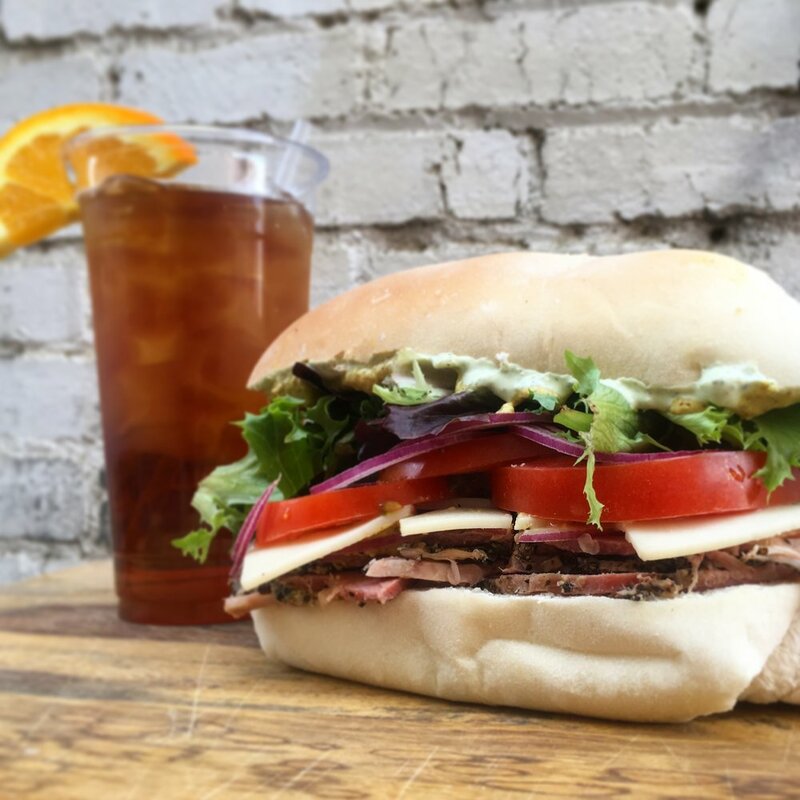 (5) 1/2 OVC sandwiches (Turkey / Ham / Pastrami / Tri-Tip / Veggie (NO SUBSTITUTIONS)) each with our house creamy pesto, spicy brown mustard, lettuce, tomato, red onion, monterey jack cheese on our fresh baked bread. Chips, 24oz water or iced tea & reg. ice cream. Contender must finish everything in 10 minutes. Winner receives a t-shirt and free loaded ice cream cone for 1 week. (1 loaded cone per day) During reg. business hours. Ask one of our friendly staff what special panini we are rocking this week. Market fresh mix greens, red onion, grape tomatoes, sliced cucumber & feta cheese. Dressing: Ranch, Italian, Garlic Oil or House Balsamic. Meat: BBQ Tri-tip or grilled chicken. Mixed greens, chopped tomatoes, carrots, cucumber. Dressing: Ranch, Italian, Garlic Oil or House Balsamic. 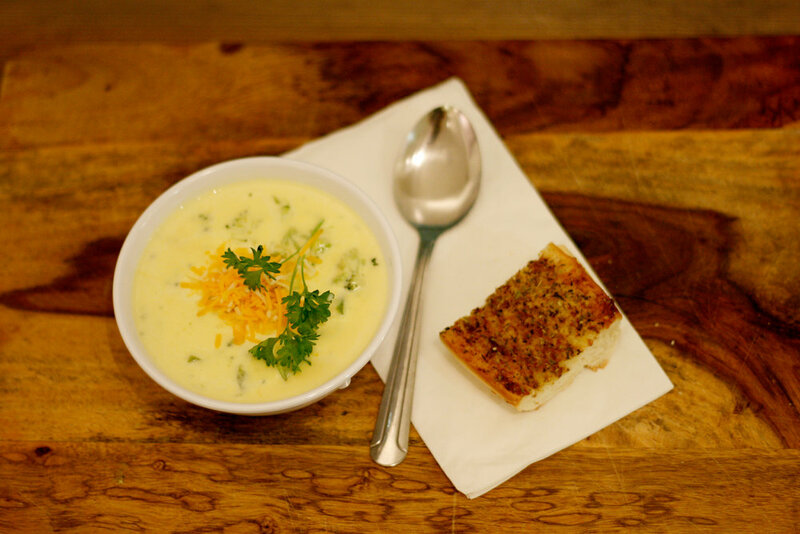 Tomato basil bisque, Chicken tortilla, Potato & bacon, Creamy broccoli & cheese, New England clam chowder. 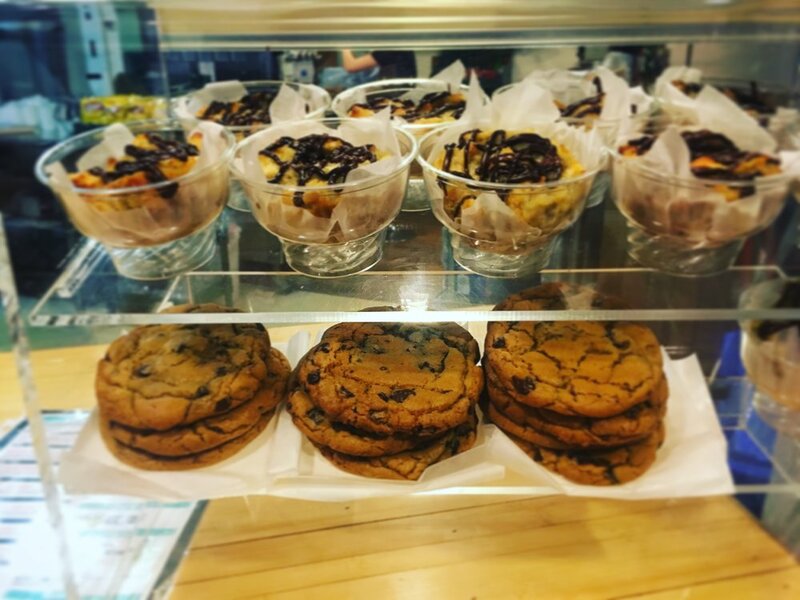 Click here to download our catering & full menu. Vanilla Bean, Watermelon, Wild berry Cheesecake, and More! We are located in the heart of Visalia’s beautiful downtown area inside of a little mall with a glass ceiling called Downtown Visalia Plaza. In addition to street parking, we are fortunate to have a 5 story parking structure right behind our building available for our customers featuring free, all day parking on the 4th and 5th floor as well as 3-hour parking on the 1st, 2nd and 3rd floors. Call ahead to order your lunch at 559-624-1233! Whether you are eating in our air conditioned seating area or sitting out in the plaza. You will find plenty of seating available.